A Texas A&M University-Commerce Police Department investigation into the death of former university president Dr. Dan Jones has confirmed that his death was the result of suicide. Jones died on the morning of April 29 at his home in Commerce. Police responded to a 911 call at 7:25 a.m. that morning and found that Jones had hung himself, the report said. On April 29, 2016, Dr. Dan Jones, President of Texas A&M University-Commerce since 2008, passed away suddenly at his home on the Commerce campus. During his time as president, Dr. Jones led the university to statewide and national prominence, with explosive growth in enrollment and innovative programs in academic study and student life. Sadly, Dr. Jones suffered from chronic depression and this crippling disease led him to take his own life. Those of us who worked with, admired, and loved Dan Jones know that he would want this tragedy to become an opportunity for enhanced understanding of depression and other community and mental health issues. Accordingly, A&M-Commerce and The Texas A&M University System together plan to create an institute in honor of Dr. Jones that focuses on mental health research and outreach for rural Texas. The plans are still being developed and specific details will be announced in the coming months. This university family remembers with gratitude and affection Dr. Jones’s presence among us — his warm spirit, his inclusive embrace, his dedication to diversity and change. The physical beauty of our campus and a hunger for better ways to live and to think remain Dan Jones’s legacy to us. Each time students and faculty engage together new ideas, with energy and respect, Dan Jones is with us. The staff of the Counseling Center is available to help students individually or as a group. Please contact the Center at 903-886-5145 or come to the Halladay Student Services Building, #204, during normal business hours for counseling assistance. University employees may also contact the Deer Oaks Employee Assistance Program at 888-993-7650. University police released the incident report from April 29 on July 6. A university spokesman has indicated that no further statement from university staff will be forthcoming. 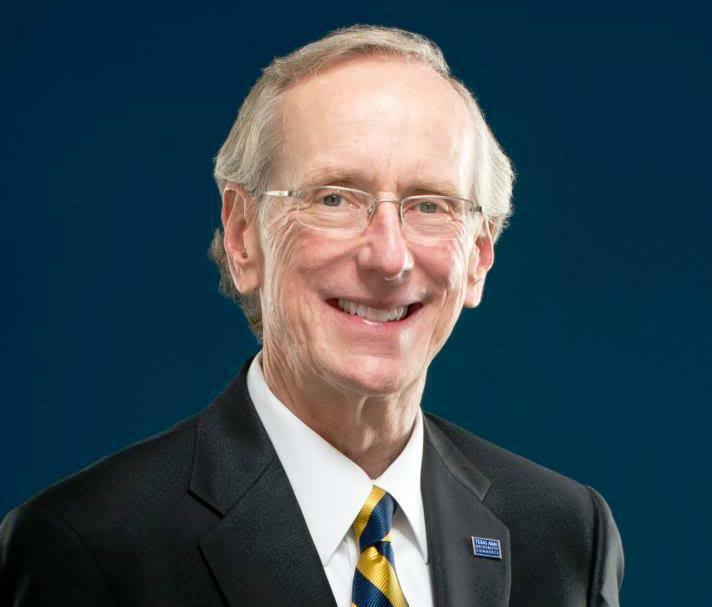 Jones had served as the university's president since 2008. Before that, Jones had been Provost and Vice President of Academic Affairs at Texas A&M International University in Laredo, where he served 2003-08. Additionally, Jones had been an administrator and instructor from 1985-2002 at University of Houston-Downtown, where he had also served as Professor of English. Before that, Jones had been an instructor at Casper College in Casper, Wyo., from 1982-85. During Jones' tenure at A&M-Commerce, university enrollment increased dramatically, including topping the 10,000 mark in 2010. Enrollment for the 2015-16 academic year began at 12,302. Texas Governor Rick Perry recognized Jones' work in creating a competency-based degree program in 2013. The university created a Bachelor of Science in Nursing program in 2012. A&M-Commerce also opened a campus in Rockwall in 2012. Many successful building projects also marked Jones' service at A&M-Commerce. The Sam Rayburn Student Center opened in 2009 and was expanded in 2014. The university's Music Building was opened in 2011. Jones also oversaw a revival of the university's athletics programs and facilities. Most recently, Jones led an initiative to lower the cost of textbooks. Jones received a B.A. in English from the University of Texas, where he graduated with highest honors and special honors, in 1975. Jones earned a B.J. in Magazine Journalism, with highest honors, from the University of Texas that same year. Jones earned an M.A. in English from Rice University in 1978 before completing an M.A. in American Studies from the University of Iowa in Iowa City, Iowa, in 1982 and a Ph.D. in American Studies, also from Iowa, in 1984. Note: This story has been edited throughout.